Shop Delta Livestock trailers for sale at Country Blacksmith Trailers in Mount Vernon, IL and Carterville, IL. Delta are very well built steel livestock trailers with high quality steel and a baked on paint finish. 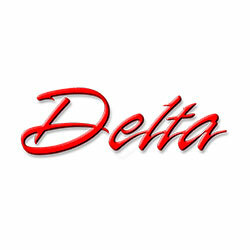 Since 1971, Delta has been manufacturing a variety of quality livestock, equipment, cargo, flatbed, tilt-bed and dump trailers. Delta trailers feature a long list of standard features (depending on the type of trailer) but most feature a breakaway switch and battery, bulldog couplers, wiring junction box, and seven-way plug. We have been very pleased with the Delta line of trailers and we continue to stock them because of their commitment to quality. Be sure to check out all our add-on features using our new product options, which will help you customize your new Delta Trailer to your specific needs. Just check the options you want and then add to your cart! If you have any questions, give us a call or stop by our Carterville, IL or Mount Vernon, IL stores to talk to a trailer specialist!